FCM Travel Solutions and KPMG’s recent whitepaper titled ‘Redefining Corporate Travel Management’ forecasts that the total market for business travel in India is projected to grow at an annual rate of 11.5 per cent and a spend of up to USD 46 billion in 2019. In the past year, rise in annual growth of business travel spend for India has been the highest among the top 15 business travel markets globally. Consequently, India surpassed South Korea to reach seventh position in the top 15 business travel markets (by spend) globally and is projected to be in the top five by 2022. It is forecasted to be one of the fastest growing markets over the next five years, growing at the rate of 12.5 per cent over the forecasted period. The Ministry of Tourism, Government of India, has announced to roll out the facility of Visa-on-Arrival (VoA) to the nationals of South Korea with effect from October 1, 2018. The facility will be available with double entry for a period of 60 days for business, tourism, conference and medical purposes at the country’s six major international airports which are Delhi, Mumbai, Kolkata, Bengaluru and Hyderabad. Cebu, Philippines has been chosen as the destination to host PATA Annual Summit (PAS) 2019. The event will be held from May 9-12, 2019. This year’s PATA Summit in Gangneung, South Korea was attended by 372 registered delegates from 182 organisations representing 41 countries. Organised in association with the Korea Tourism Organisation and the Gangwon Province, PAS 2018 focused on building bridges, connecting people and how collaboration creates opportunities. 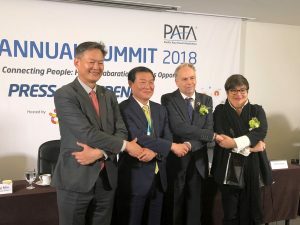 PATA Annual Summit 2018 underway in Gangneung, South Korea focuses on building bridges, connecting people and how collaboration creates opportunities. This four-day event brought together international thought leaders and industry professionals. The conference looked at various connections that help in shaping the industry as the world moves towards a more exponential future, bringing together a diverse line-up of international industry shapers and senior decision makers. 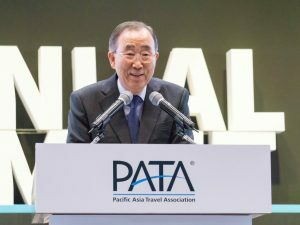 Ban Ki-Moon, Former Secretary-General, United Nations, delivered the keynote address and Taleb Rifai, Former Secretary-General, UNWTO, provided the closing remarks. 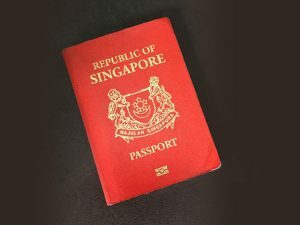 According to Passport Index developed by global financial advisory firm Arton Capital, Singapore tops the rank of being the most powerful passport in the world under the Global Passport Power Rank 2017. This ranks passports of the world by their total visa-free score. 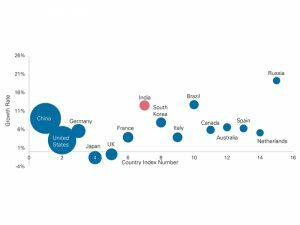 Singapore is closely followed by Germany, Sweden and South Korea who are tied at number three, followed by eight other countries holding the number four spot jointly. The Indian passport appears at number 75 with a visa-free score of 51, ranking even lower than African countries like Zimbabwe, Rwanda and Sierra Leone. Some of the countries with a lower ranking than India are Egypt, Bhutan Cambodia, Jordon and our neighbours Sri Lanka and Nepal. The last on the list is Afghanistan with a score of 22 preceded by Iraq and Pakistan with a joint visa-free score of 26. AirAsia Berhad’s inaugural flight AK 31 connecting Kuala Lumpur to Bhubaneswar will arrive at Biju Patnaik International Airport on the night of April 26. It is the first international airline to operate to and from Bhubaneswar. The four-times weekly flight is estimated to take off from Kuala Lumpur International Airport at 22:10 hours and is expected to land in Bhubaneswar at 23:25 hours on April 26. Aireen Omar, CEO, AirAsia, and Tourism Malaysia Director General will be travelling to Bhubaneswar on the flight, which will be received with a traditional water salute upon welcome. The airline has received tremendous support from the Odisha Government and Odisha Tourism in particular. The airline will connect Bhubaneswar and Odisha to 120 AirAsia destinations in the Asia Pacific covering South East Asia China, Japan, South Korea, Australia and New Zealand. South Korea recorded an increase of 27.3 per cent in Indian arrivals in 2016 as compared to 2015. 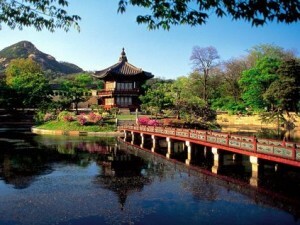 A total of 195,579 Indians travelled to South Korea last year. 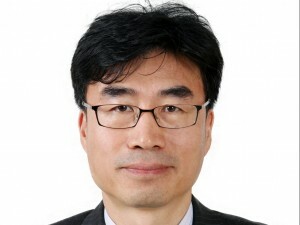 According to Byungsun Lee, Director, Korea Tourism Organization, “South Korea will be more accessible to the Indian traveller now. With the positive growth trend, our focus this year will be to promote affordable packages from Delhi and Mumbai with our partners. 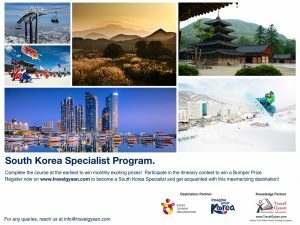 We shall also seek association with neighbouring tourism boards to jointly promote both destinations and create a win-win situation.” The constant efforts made by the Korea Tourism Organization, New Delhi office on educating the travel trade partners to promote the destination and proactive business approach from the Destination Management Companies (DMC) have been the key factors in the result. Connecting with the end traveller through tactical media platforms and increase in the airline connectivity from Delhi will play as game changer this year.